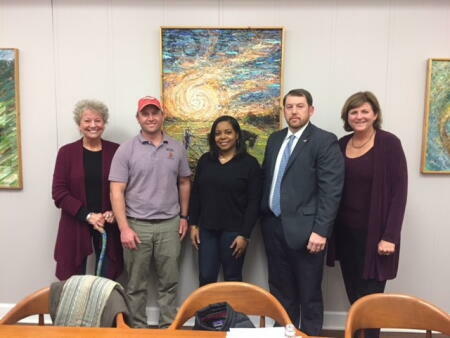 The board of advisors of the Columbus County Community Foundation announces new advisory board members. Amber Bellamy of Whiteville. She works for the Columbus County Dream Center, Inc. and serves on the boards of the Columbus County Chamber of Commerce, Whiteville Housing Authority and Columbus County Tourism Board. Lisa Richey of Lake Waccamaw. She founded Cheap Therapy, Inc, which donates 90% of its profits to local charities, and is a member of the vestry of Grace Episcopal Church and a past recipient of the Sol Mann Community Spirit Award. Kevin Williamson of Whiteville. He is an attorney at law and immediate past president of the Whiteville Rotary Club and the former chairman of the Columbus County Chamber of Commerce and Families First. Adam Wooten of Chadbourn. He works for Wayne Bailey Produce Company and is a member of the North Carolina Sweet Potato Commission, serving as Chairman of the Food Safety Task Force. Richard Wright of Tabor City. He is a Senior Partner at Wright, Worley, Pope, Ekster & Moss, PLLC and is a former member of the North Carolina House of Representatives. He serves on the boards of the Southeastern Community College Foundation, Columbus Jobs Foundation and the Lewis A. Sikes Foundation.